Roku has long been the darling of the set-top box market with its tiny devices that bring internet TV to your big screen. Want to watch Netflix, Hulu or Amazon Prime? Roku will let you do that from the comfort of your sofa. But what about the next wave of devices? We just saw Amazon reveal its new offerings, and now Roku is following suit. The company announces version 4 of its device, bringing with it lots of goodies like 4K, which is considered the wave of the next generation TV. It also comes along with version 7 of the operating system, a more powerful quad-core processor and a remote control with voice search. There's also still a headphone jack, just as the Roku 3 remote control had. As for version 7 of the operating system, there is a 4K category in the channel store, curated 4K content and 1080p home screen and user interface. "As with all of our current-generation devices, the Roku 4 offers access to one of the biggest streaming channel lineups -- including 300,000 movies and TV episodes -- and the industry’s most comprehensive and only unbiased universal voice search", Roku states. The last part may be a dig at Amazon whose Fire TV had voice search upon launch. 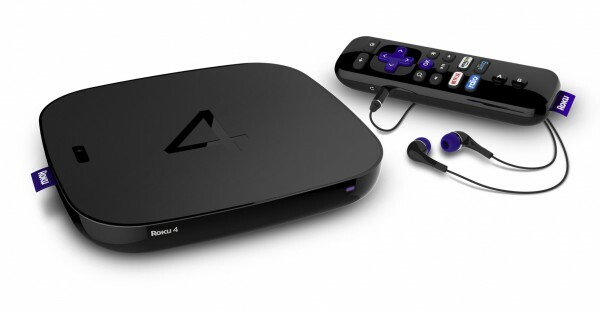 Customers can pre-order the Roku 4 now. It will set you back $129.99, which is a bit more than the previous version of the device.